If you live in the greater Chicago, Illinois area, you have probably already heard of the Chicago Gourmet food festival. Last year, the event alone attracted over 13,500 attendees and some of the best restaurants in the city, including a local Ritter’s Ice Cream franchise. Held in the famous Chicago Millennium Park, this is a great way to market a new restaurant or food start up. In this post, we’ll be showing Chicago restaurant owners how to make the most of this event. If you give stuff away, the people will come. Have swag available at your stand, as well as food samples. Free samples are great. However, giving away branded merchandise and other goodies provides the added benefit of free promotion and marketing. Even if you only give some away as part of a contest it is a great way to get people over to your booth. It is also a great way to score free marketing from the prize winners, without having to pay for a costly local ad campaign. Definitely give away freebies at your Chicago Gourmet booth in order to get the best response. Regardless of your ideal customer, the Chicago Gourmet event is an opportunity to expand your customer base. As a luxury restaurant start up, the event will expose your brand to the mainstream diners who may not being trying gourmet restaurant food otherwise. In fact, they may be huge fans of some disgusting pizza franchise. This is your chance to get a lot of foot traffic, impress people with some of your best tastes and hopefully get them to stop eating crummy chain pizza. Treat this as a sampling, educating the customer about your restaurant brand and location. Once you have engaged customers, ask them to like your Facebook page on the spot. With the number of people on Facebook, very few people will refuse for an extra sample or two. For any newly established restaurant start up or cheap franchise in the food industry, the online exposure and Facebook likes are a great way to keep in touch with customers after the Chicago Gourmet event ends. Additionally, with the number of people at the event, it will be rather easy to attract lots of likes in a short period of time. In addition to the general public, the Chicago Gourmet event features some of the most noteworthy stars in the food industry. If you have an idol chef, restaurateur or mixologist in the area, it’s highly likely they are attending the event. Similar to a food industry trade show event, now is the perfect time to reach out them and make connections. They are likely to serve as a valuable resource down the road. Or, if you can spare the time, you can attend one of their speaking sessions and learn from their expertise. The networking opportunities are limitless for restaurant owners at Chicago Gourmet. Many food YouTubers, news channels and media outlets cover the Chicago food event. When you see either a reporter or individual walking by with a camera, invite them over. Share a bit about your start up restaurant or wine franchise, the new brand and mission to serve in Chicago. If executed genuinely, your restaurant could receive plenty of free press from established online YouTube channels or news networks. 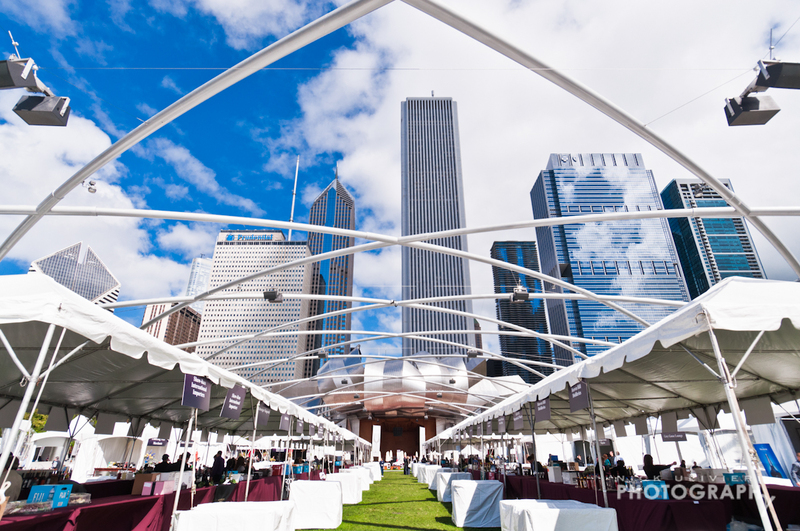 Last, but not least, the Chicago Gourmet is a great place to recruit. People who love to cook, eat and drink attend this event. Many chefs, sew-chefs and hospitality personnel will be at the event. While interacting with the crowd, use this time to establish relationships with other chefs and restaurant employees. Spread the word that you are looking for a head chef, maitre D, hostess, refrigerator repair or general manager. Odds are, the people you are looking for are walking around right in front of you. To make the most of the Chicago Gourmet experience, be prepared to market you restaurant. This event is a unique marketing opportunity that can help your food business expand quickly. Since the event is held only once a year in September, make the most of it when interacting with the public, influencers and potential hires. And, of course, have some fun marketing your Chicago restaurant over a packed weekend.